PTA To officially Launch DIRBS to block stolen and smuggled Mobile Phones in Pakistan. 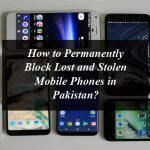 We reported you last year that the Pakistan Telecommunication Authority (PTA) has taken a step forward and would launch a new system called Device Identification, Registration and Blocking System (DIRBS) in order to permanently block the snatched and smuggled mobile phones in the country. 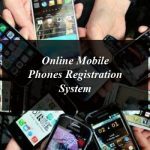 Now the Pakistan Telecommunication Authority (PTA) has taken a step forward and to officially launched the Mobile Devices Identification, Registration and Blocking Regulation System (DIRBS) in Pakistan on Thursday, in order to block stolen, smuggled and duplicate identifiers mobile phones in Pakistan. 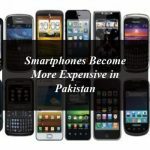 PTA will launch the DIRBS in the country on Thursday by utilizing the different IMEI (International Mobile Equipment Identity) number of each mobile phone. The other parameters to monitor, identify and regulating the smuggled and stolen devices. Mobile Devices Identification, Registration and Blocking Regulation System (DIRBS) will help to identify the IMEI of illegal devices and it will be report to the Telecom companies in the country other concerned bodies will block them. Once the DIRBS system gets activated by PTA it will be capable of detecting the non-compliant mobile phones’ IMEI numbers of the handset will be used, while other mobile identifying tools will also be applied. 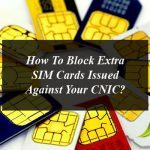 Once non-compliant mobile phones are found and detected by cellular operators, they will be black-listed and won’t work with any mobile network in Pakistan. These snatched and smuggled mobile phones will be blocked after detection permanently. It is worth mentioning here that this PTA step will increase the revenue and benefit of the telecom network. The Device Identification, Registration and Blocking System is a good initiative and will be very useful for the public which is facing lots of problems owing to the unavailability of a competent system to stop criminal activities involving mobile phones snatching. This type of system is already being implemented in many other countries of the world, and have shown proven results. Pakistan Telecommunication Authority (PTA) has today officially launched the DIRBS in the country. Now the consumers can verify the authenticity of their mobile devices in line with PTA regulations via SMS to 8484 and to check the status of IMEI log on dirbs.pta.gov.pk or download DIRBS android mobile app from Google Play and Apple app stores.